Martha and Roger wrote us this lovely note on March 27, 2011: Dear Lee, John, and every individual who works at Buckhorn Inn to make it a true haven of grace, beauty and unrivaled hospitality: We thank you for our marvelous stay about the Inn. We cannot say enough good things about the care with which you treat your guests from the landscaping to the meals which were magnificent. We could not have chosen a better place anywhere to celebrate our anniversary. Thank you for making it exceedingly special for us. 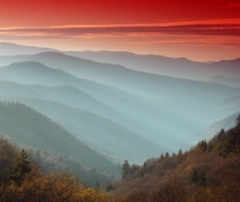 The Music of the Mountains Festival offers free concerts on April 8, 9 and 10. There is a wide spectrum of old-time, traditional and bluegrass music performers. 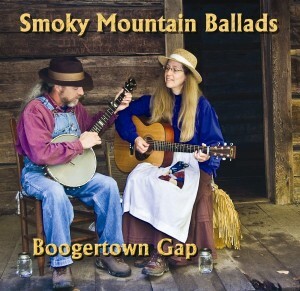 The event starts at 10 am with an array of traditional musical performances at Sugarlands Visitor Center Theater. Seating in the theater at Sugarlands (865-436-1291) is limited to 160 persons per concert, and available for free on a “first come, first served” basis. Come enjoy some of the region’s best and most authentic live mountain music and learn about the cultural history of the area from leading experts. This is no April Fool’s Joke! Famed fingerstyle guitarist and composer Bill Mize will perform between 6:00 and 7:00 pm on Friday, April 1. Make your dinner reservations now and come an hour early to hear this Grammy Award winner. According to the Great Smoky Mountains Association, we should be seeing early wildflowers in the last half of March. Their experts advise being on the lookout for trailing arbutus, star chickweed, sharp-lobed hepatica, spring-beauty, and some of the violets. The best early spring wildflower trail in the park is Chestnut Top, which begins at the Townsend “Y,” just a mile into the park from Townsend Other good trails include Bradley Fork (starts in Smokemont Campground) and Porters Creek (in the Greenbrier area near Buckhorn Inn). 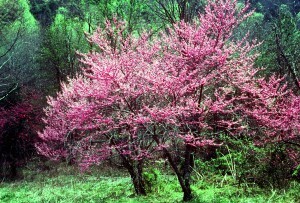 Little River Road will be a great for viewing the magenta flowers of Redbud trees. Heat oil in heavy large pot over medium high heat. Add onions and carrots. Sauté until onions are golden brown, about 10 minutes. Add garlic and stir 1 minute. Mix in cumin. Stir 30 seconds. Add broth and barley, bring to boil. Reduce heat. Partially cover and simmer 25 minutes. Stir in tomatoes with juice and lentils. Cover and simmer until barley and lentils are tender, about 30 minutes. Stir in tomatoes with juice and lentils. Cover and simmer until chard is tender, about 5 minutes. Stir in dill. Season soup with salt and pepper to taste. Thin with more broth if desired.